For thousands of years, the ability of blind people to participate fully in social, political, and cultural life was limited by the lack of access to written or printed forms of information. 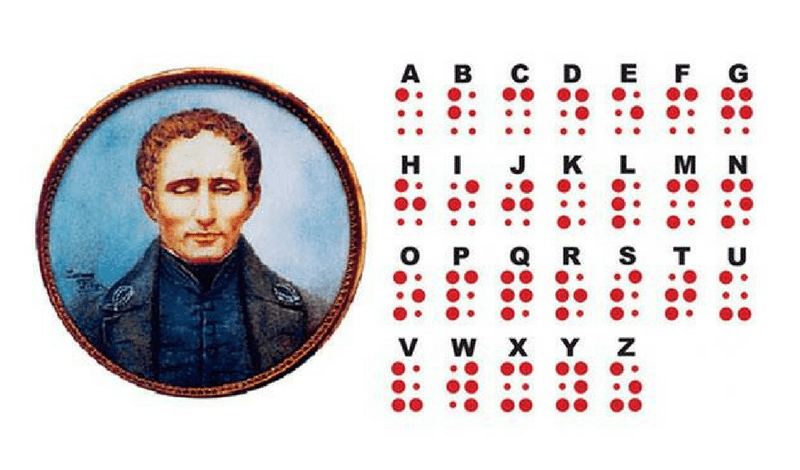 Although the work of many others contributed to his accomplishment, Louis Braille’s invention of a tactile six-dot reading and writing system revolutionized the way blind people perceived and contributed to the world. In 1834, Louis demonstrated his dot alphabet at the Exhibition of Industry held in Paris. All sorts of inventions were shown there. He took notes as people spoke and then read back what was said. When Louis returned from the Exhibition of Industry in Paris, he was sad that his invention wouldn’t be available to other blind people. In the last few years he had occasionally felt tired. He also sometimes had a bad cough and fever. He grew sicker. His doctor told him he had consumption, or what we today call tuberculosis. At that time the only remedy for this disease was fresh air and rest. In 1837, the school published the first book in braille. However, Braille’s system proved to be controversial at the institute. The school’s director, Alexandre François-René Pignier, had supported using braille, but Pierre-Armand Dufau banned it when he became director of the school in 1840. Nonetheless, by 1850, when tuberculosis forced Louis Braille to retire from teaching, his six-dot method was well on its way to widespread acceptance. Two years later, the French government approved the dot system. It was called “Braille” after Louis’ last name. In 1878, the World Congress for the Blind voted to make Braille the system of reading and writing for all blind people worldwide. With the help of the United Nations, Braille has been adapted to almost every known language.